One of the most appealing aspects of ukiyo-e is that many of them depict actual locations. In particular, Utagawa Hiroshige was known for his landscapes; the most famous being The Fifty-three Stations of the Tokaido, which was the result of a procession between Edo and Kyoto. 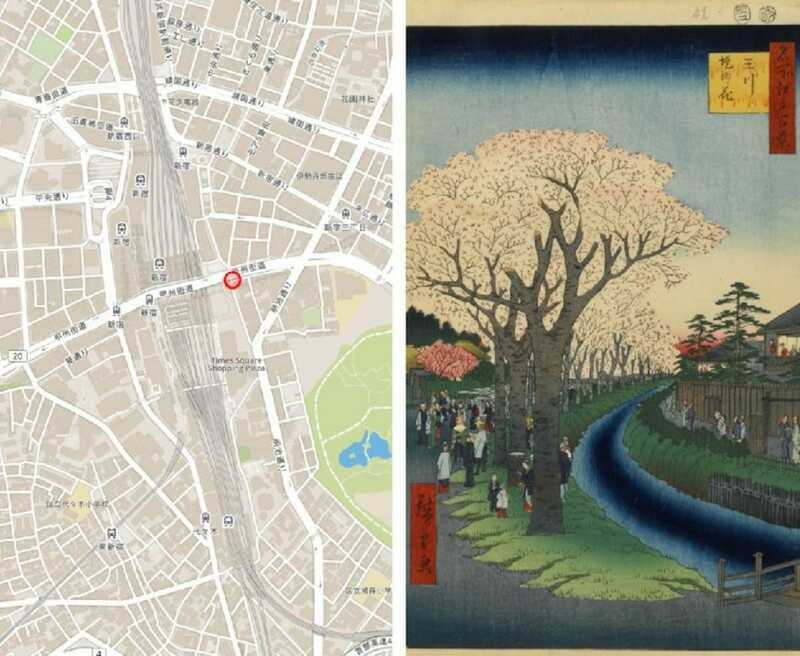 Now, an online Open StreetMap called Ukiyo-e Map has plotted over 200 of Hiroshige’s prints on a map of Japan (such as the print of the Tamagawa Aqueduct pictured above) so you can pin down the exact location they depicted several hundred years ago. Clicking on each dot on the map reveals its ukiyo-e depiction. Currently, the map features Hiroshige’s “One Hundred Famous Views of Edo,” “Famous Views of the Sixty-odd Provinces” and “The Fifty-three Stations of the Tokaido.” Although much has changed, some roads, temples and lakes still exist to this day. It’s still fun to be able to explore the world of ukiyo-e by placing them in geographical context. For a closer look at this awesome interactive map, check out the original article from our friends at Spoon & Tamago via the link below!